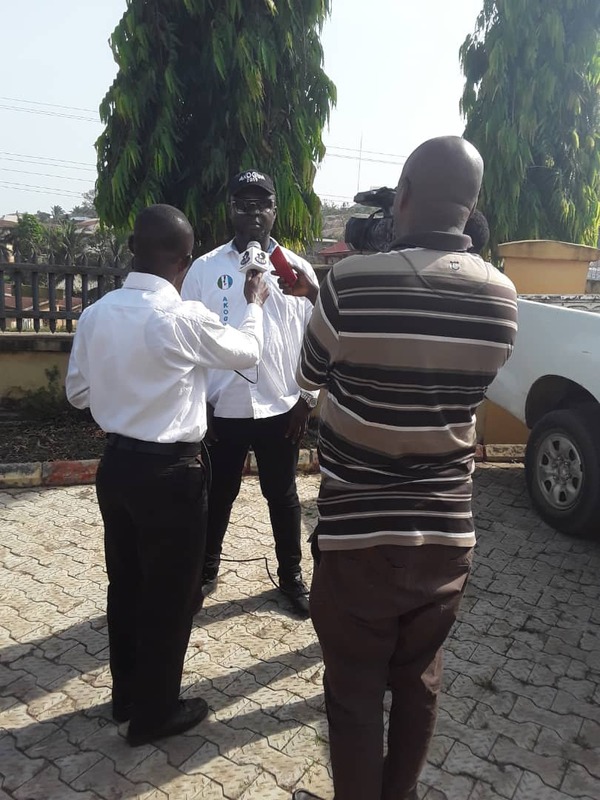 ISE OLUWA 2019 : AKOGUN OMOLE STARTS CAMPAIGN IN ONDO STATE | Welcome to Dare Lasisi's blog! 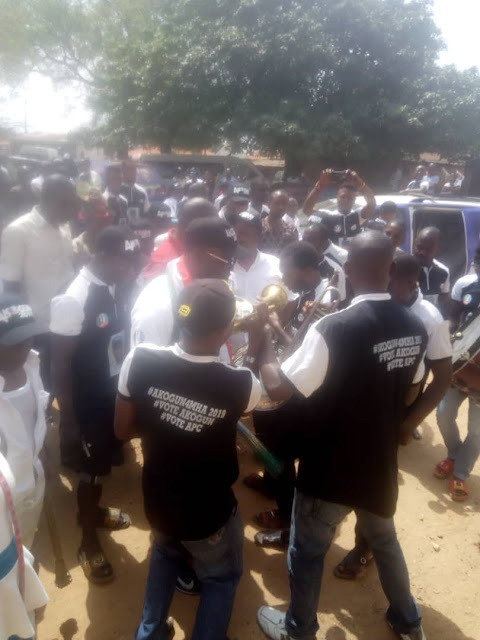 The theme of his campaign is ISE OLUWA 2019 and this was divinely manifested yesterday as the campaign officially took off.A group of Elders of APC in Constituency 1 of Akoko South West Local Government led by Elder Ogungbe threw their weight behind the Candidature of Akogun Olugbenga Omole,the APC candidate for House of Assembly Akoko South West Constituency 1 as he visited the Local Government Party Secretariat in Oka yesterday. Its the first time that these set of people will be together for a meeting, since 2016 APC gubernatorial primaries. The Campaign train took off from Ayegunle-Oka and the first point of call was the residence of Hon. Foluso Babadele, a former Majority Leader of Ondo House of Assembly. 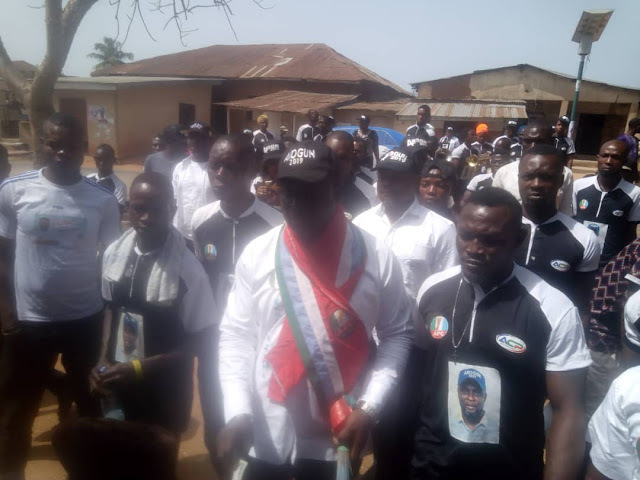 Babadele eulogised the quality of Akogun's character and stated that he stood tall, out of the 13 people that aspired to be candidate of the Party for House of Assembly in the Constituency. His consistency and contribution to the development of the Party in the LG is sterling. He said he has no doubt that Omole will emerge victorious at the poll come March 2019. In his response Omole said making Babadele's residence his first point of call is borne out of his respect for Leadership and Elders of the Community particularly when such Leader is someone who had represented the Constituency in the past and did very well. The train moved to Ayepe-Iwaro then to Owalushi where Akogun campaign train paid homage to Olushi of Owalushi.He received traditional Blessings and was assured of the support of the community. The train moved to Oka-Odo, the home of the immediate past Caretaker Chairman of the LG who is also the Chairman of Akogun Campaign Platform. He was received by a mammoth crowd of party faithfuls who led him to the palace of the Asin of Oka-Odo, where the Regent, Princess Adekemi Omorinbola showered encomium on Akogun while highlighting his giant strides when he was the Education Secretary of the Local Government. Prayers were offered and the whole community was in unison on voting APC. Hon.Oloruntogbe stated clearly that the House of Assembly issue is a settled matter as far as Akoko South West LG is concerned. He assured Omole,whom he described as a true party man and political asset not only to Oka but the entire Akoko Land. It was a carnival like scenario when Omole got to Oke-Oka as the whole town was on a locked-down for over an hour. His visit to the Local Government is a song that refused to end. His entrance to his Ward Agba Ward 4 was electrifying as people fell over themselves to touch him and offered prayers. A live band was on stand to entertain guests and APC members. On the entourage of Akogun Olugbenga Omole was Otunba Gboyega Adefarati,Ondo State Commissioner for Agriculture; Hon.Augustine Oloruntogbe, the Director General of Akogun Campaign Platform, Hon.Tiamiyu Oladimeji; Hon. Alfred Aminu and the representative of the LG Government in State Working Committee, Hon. Cyril Aye.Others are Mr Rotimi Daomi, the LG APC Vice Chairman other LG Excos,Women Leaders and all the Ward chairmen in the constituency. A powerful delegation from the State Secretariat of APC led by the Northern Senatorial Chairman, Hon. Solomon Elefola, and the APC State Youth Leader Comrade Olutayo Babalayo OLU TEE.The Immediate past chairman of the party in the Northern Senatorial District Hon. Osedimibola was also on ground. 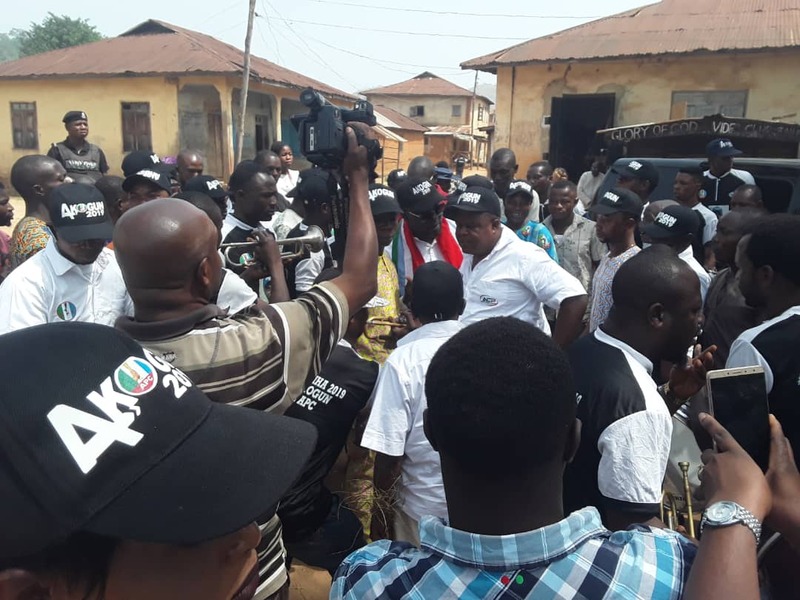 In attendance was the candidate of House of Assembly in Owo Constituency 1 and 2, Oluwole Ogunmolasuyi WEST and Bishop Adeyemi KOKO were on ground to give support as well. The House of Assembly candidate of APC in Ese-Odo, Hon. Success was on ground too. Also present and lending their full support were High School classmates of Akọgun Olugbenga Ọmọle.The visit to the Palace of the Paramount Ruler of Oka Kingdom was agreed upon by Akogun and Kabiyesi Olubaka of Oka,Oba Yusuf Adebori Adeleye to be held at a later date this month. We are using this medium to thank all the party leaders and members that came out in their numbers to be part of the flag off. We express our gratitude to the traditional institutions in all the quarters in Akoko South West Constituency 1 for their prayers and words of encouragement. We cannot but thank the Security Agents who were on ground throughout the duration of the campaign.The Campaign Flag Off will herald massive mobilisation from the 8 wards in the Constituency as Wards meeting commences next week.